International Audio Video Inc. (IAVI) received an outstanding performance award from Panasonic at InfoComm 2014. Recognized for achieving exceptional projector sales and an annual growth rate of 134% for fiscal year 2013, Panasonic presented IAVI with the company’s Growth Achievement Award on Wednesday, June 18. This annual award is presented to partners for outstanding sales and dedication in the pursuit of merchandising and promoting Panasonic projectors within the reseller community. Rance Poehler, President, Panasonic System Communications North America (PSCNA) and Art Rankin, Senior Director of AV Technologies Product Group, PSCNA, presented the award to IAVI Owner/President Wade Gilbert at a ceremony at InfoComm 2014. 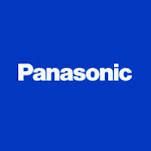 “IAVI’s growth in Panasonic projector sales year-over-year is illustrative of their understanding of market dynamics and the talent of their sales team. As a channel-centric company, we’re only as successful as our partners. We look forward to continuing to grow our collaboration with IAVI as we work to equip end-users with reliable, cutting edge projection technology," said Art Rankin, senior director of AV technologies product group, Panasonic System Communications of North America. “This is truly a great honor. We wouldn’t have been able to achieve these results without the hard work of our coworkers and valued customers who continue to trust IAVI for their Pro AV needs. IAVI’s goal is to not only help our customers become more successful but also our partners. Our strong growth results are a true testament we are delivering on that promise," added Wade Gilbert, president, IAVI.